For the past 16 years, Domenick Panzarella has built an excellent reputation for providing expert guitar set-ups, repairs, and numerous other tech services. He was head of instrument repairs and co-owner of B Sharp Music, in Providence from 2005 to 2013. 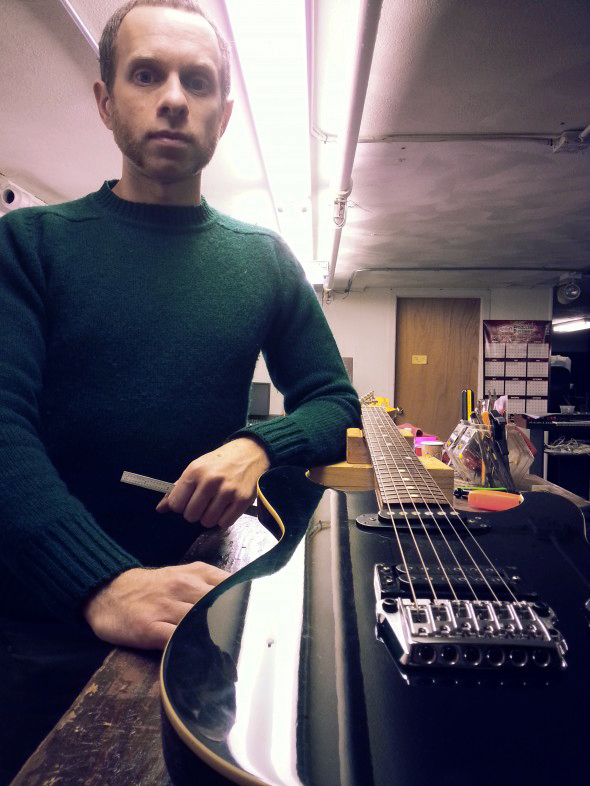 Domenick is in charge of guitar and electronics repairs here at MWM, and is also available to add some shred to your sesh.